Underhung Bridge Crane Portable Crane Cheap Crane Lightweight Crane Best Choice! Underhung bridge crane, a kind of flexible, light weight, composite travelling crane, is widely used for lifting, transporting, loading, unloading goods and material in warehouse, factory, workstation, and assembly sites etc. Ellsen Company, a famous crane supplier, provides types of underhung cranes with high quality and low price. Our products have been exported to more than 50 countries and regions, such as USA, Australia, India, and Brazil and won praise from our customers. Ellsen under-hung cranes are divided into two types: single girder type and double girder type. 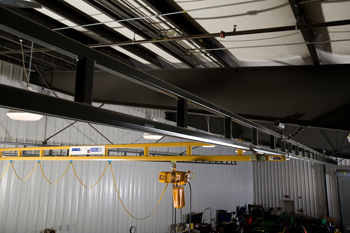 What is an underhung overhead crane? Under running crane consists of main girder, end girders, electric hoist, electric system and other crane parts. It can transport material quickly and timely through trolley, hoist, hook and other devices. It is important crane equipment to improve working efficiency in factory. Ellsen under running cranes have many advantages, such as no pollution, safety, delicate operation, strong rigidity and so on. 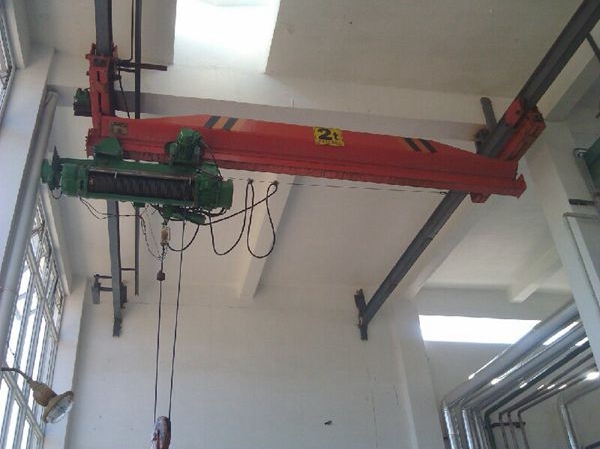 Under running hoisting crane is widely used in the factories without support structure, because it can take full use of the factory room. 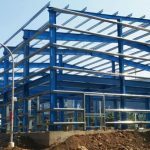 This set of crane system needs rigid roof structure to sustain the crane load. And users can install more main girders on the fixed track, which can improve efficiency and save the cost. 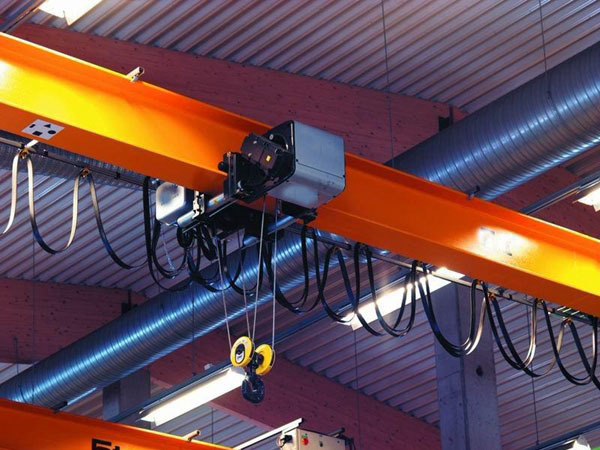 Compared with top running overhead cranes, underhung lifting cranes have lighter weight.When working in the flammable, corrosive, explosive condition, Ellsen Group provides special purpose under-hung overhead cranes, such as explosion-proof crane, insulated crane to meet practical needs. Why are underhung bridge cranes are loved? Why should you not be getting cranes that are not good enough when this one is being sold? There is a reason people love to go with high-grade cranes such as this one. The low headroom you are going to get is just one of the reasons and it will move onto a plethora of advantages that begin to showcase themselves. Here are the main reasons that people enjoy these underhung bridge cranes and will want one that is going to be situated on their site as well. The underhand bridge crane is great because you can get maximum hook height with it. This gives you more than enough leverage to lift what you want and does it with ease. You are not going to get into trouble with the crane and how it is being used. The crane that is best will always be the one that has the most hook height. These cranes are neatly designed to meet those needs and make your life easier as a project manager. You want to have this on your side. The design is robust because there is a need for it in the environment that you are going to have in front of you. The environment is not going to be able to sustain a weak crane that is not effective. You want the crane to work hard for you and lift as heavy as possible. You don’t want the design to fail on you, and that won’t be the case here. When you choose a crane that is robust, you can get a beautiful design that is highly effective and easy on the mind as well. You want to trust this for as long as you can. The underhung bridge crane is great because of how simple it is to execute the project that you are running. When the execution is not okay, you are going to feel the problems rise. The crane would not be able to lift as much as you had wished it would, and that is going to be problematic. This is why the underhung bridge crane is a big seller for construction companies. You can get it to execute in the manner that you want, and it does not take up a lot of your time to boot. Seek out one of these cranes and start using them on your site. It is going to be a change that you will be able to get on board, with and it is going to feel great for a long time to come. You are going to understand why people are loving the execution they are able to see out of the cranes. There are times when you are not able to enjoy a crane because it is cumbersome and gets in the way. This would not be one of those cranes at all. Insufficient headroom can be a big issue in the workplace. Machinery changes over time, but a work space can’t always adapt. 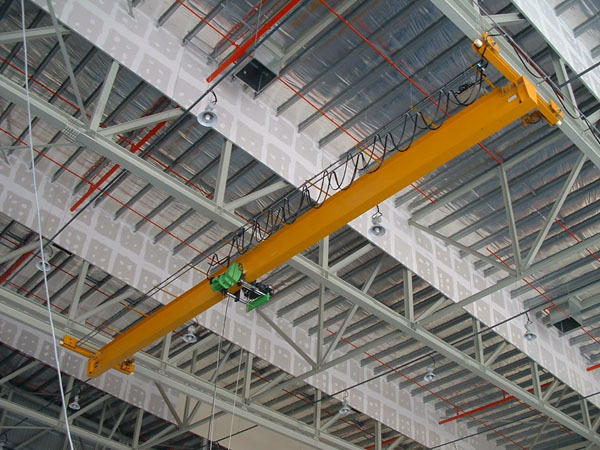 In some cases, a warehouse may not have the kind of headroom that its crane operators need. Thankfully, there are people working hard to find a solution to these kinds of problems. One solution is simple: an underhung bridge crane. 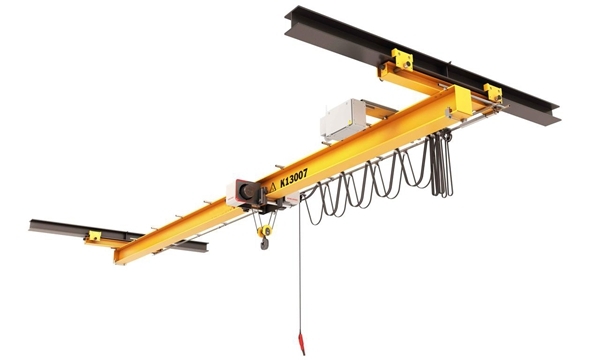 By installing a crane like this one, you can give your workers the headroom they need. Here are a few of the advantages these cranes can offer. Every business has its own unique needs. Thankfully, a number of bridge cranes can be customized to meet the needs of purchasers. If a crane is being bought for a warehouse that doesn’t have a lot of headroom, it can be adapted accordingly. When a crane is customized, safety won’t be a concern. 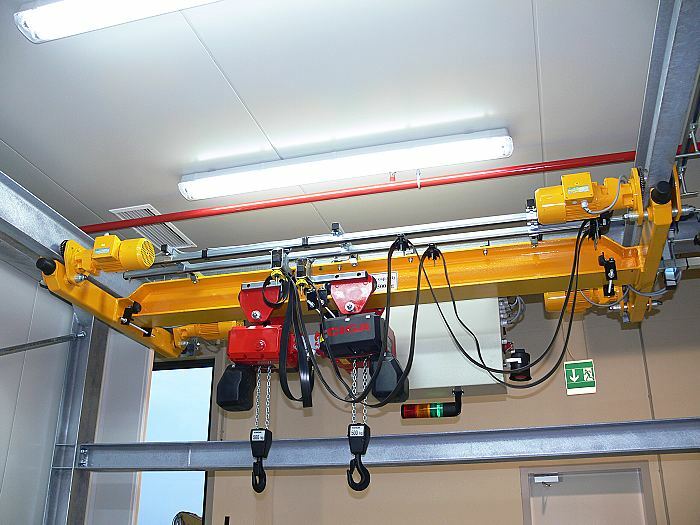 The crane can be hung in a lower position without causing any kind of issues. Even if you’re meeting the legal limit for headroom, you might not be creating a comfortable situation for your workers. It can be hard to work in conditions like this, and it can place people under a great deal of stress. If you create a more efficient solution, your productivity will rise right away. Your employees will be able to accomplish all of their tasks in a timely manner, and your machines will be able to function without issue. There’s no single solution when it comes to cranes. Every workplace has its own needs. However, when it comes to bridge cranes, there are all kinds of ways they can be hung. If a certain method won’t work for your workplace, you don’t have to use it. Instead, you can simply try something else. Look at different solutions, and see if one of those methods would be a good fit for your workplace. If this is something you’re struggling with, you may want to consult with a team that specializes in this sort of thing. They will help you to hang your crane in the best possible way. According to bridge beam, Ellsen wholesale cranes include two types, wholesale single girder top running overhead crane and wholesale double girder overhead bridge crane. Both of two cranes can service lifting work well. For wholesale single girder crane, it can be designed as top running crane and under running crane. The former type crane is used for factory with enough room, the crane travels on the rail. 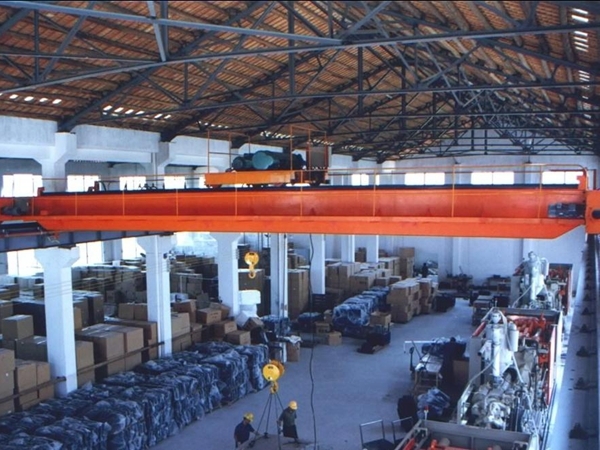 The latter type crane is used for warehouse with restricted room, the crane hangs under the rail. 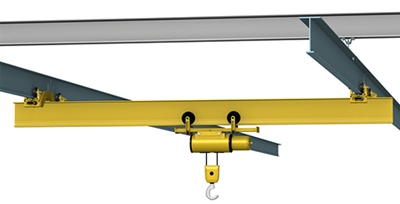 Under running bridge crane is suitable for light lifting duty. Single crane is portable and light. It is wonderful choice for light work. For wholesale double girder crane, it is a kind of large crane. 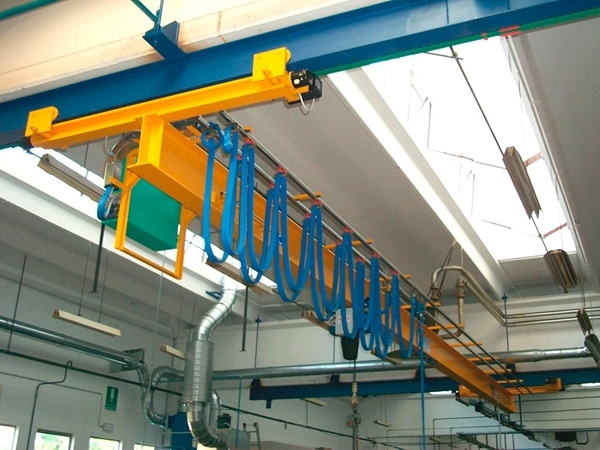 Compared with small underhung overhead crane, it has larger size and heavier lifting tons. Ellsen designs double girder traveling crane with complete safety protection devices, such as buffer, overload protection devices and position limit devices. Why are Ellsen bridge crane so cheap and qualified? Ellsen designs and produces crane according to national standards. The quality is ensured and reliable. To make customers get more discounts and benefits, Ellsen sales cranes with factory price. Ellsen cost-effective cranes win high praise and trust from customers all over the world. 4. Enclosed track with little dirt and dust infected.